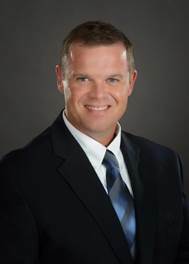 Hexagon Composites has appointed Jon Smith as President Mobile Pipelines. In his new position, Jon will head the global Mobile Pipelines unit, the industry leader in distribution systems of compressed energy gases beyond the pipeline. Jon comes from the position as Vice President and General Manager, Smart Energy Americas for Honeywell International. His responsibilities included all aspects of the natural gas industry from mid to downstream consumption for the Western Hemisphere. Previous to Honeywell, Jon held numerous positions of mid-management to executive management with Ford Motor Company, Visteon Corporation, Johnson Electric, Federal-Mogul and Associated Materials, Inc, and he has led international business in Latin America, Asia and Europe. Jon Smith brings a breadth of business experience including operations, business development, sales, quality, product launch and engineering. Prior to his business experience, Jon served the U.S. Navy for 21 years. Jon holds a Bachelor of Science degree in Ocean Engineering from the U.S. Naval Academy, and a Master's degree in Business and Management from Central Michigan University, and a graduate diploma in International Strategy and Planning from the U.S. Naval War College. "Jon's broad technical, operational and managerial experience from the natural gas industry will be a huge asset to our company and our stakeholders, and we are very pleased to have him join our team," said Jack Schimenti, Executive Vice President of Hexagon Composites. "The global transition to cleaner, low-carbon energy within transport and mobility is driving the demand for our clean and cost-effective solutions and Jon will play a key role in the expansion of this market. Jon's talents and experiences fit well with the Company's Driving energy transformation mission," said Jack Schimenti.